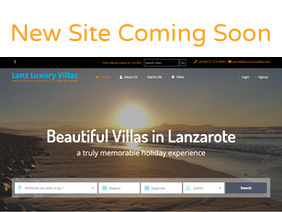 Lanz Luxury Villas is the premier site for Beautiful Villas in Lanzarote. We specialise in private luxurious cozy, comfy and Canarian style villas that will give you a truly memorable holiday experience. We have a comprehensive selection of privately owned, beautiful properties for rent in various gorgeous locations all over the island, most with private heated pools. We provide a first class personal service to clients and villa owners alike, 7 days a week, 24 hours a day. We have a team of Villa Managers, who live locally, so you can lie back and relax, safe in the knowledge that assistance and advice is always close to hand should you require it during your stay.